Certifications: B.S. Kinesiology, National Academy of Sports Medicine Certified Personal Trainer and Corrective Exercise Specialist, Certified Boxing Trainer, Certified Nutrition Coach. 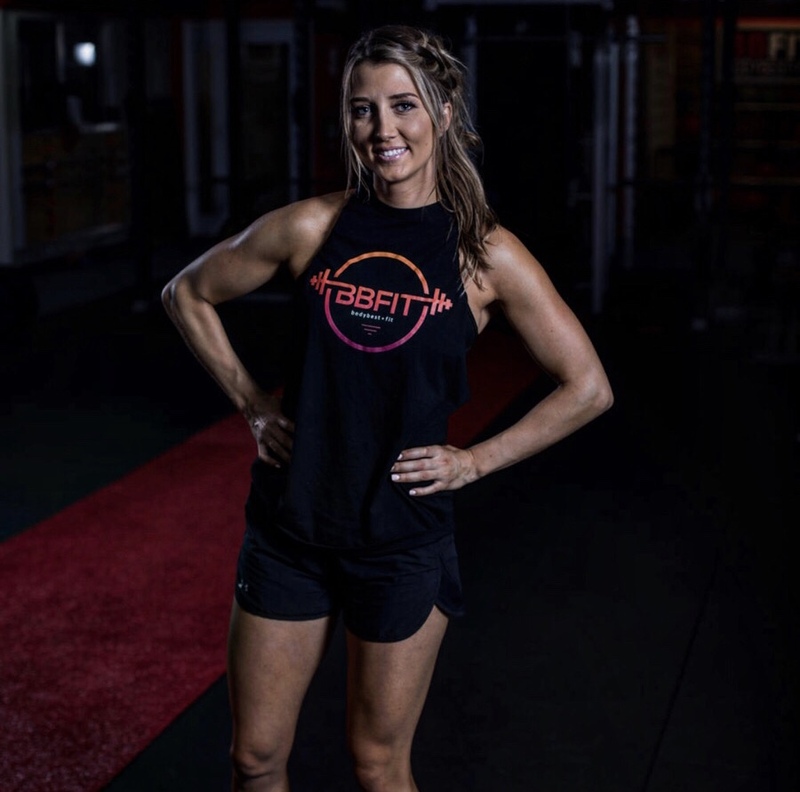 BIO: Kayla Schumann, owner and founder of BODYBEST•FIT, received her Bachelor degree in Kinesiology from Northwest Nazarene University in Idaho. She is a Certified Personal Trainer (CPT) and a Corrective Exercise Specialist (CES) through NASM, as well as a certified Boxing Trainer through Box N Burn Academy (World's #1 Boxing Certification). On top of her certifications and a Bachelor’s degree, Kayla played collegiate basketball at Northwest Nazarene University, which was her dream ever since she fell in love with basketball in sixth grade. While in high school, people thought she was too small to play basketball at the next level, as she only weighed around 100lbs at the time-- Instead of letting that break her, she used that to fuel her and ended up gaining a healthy 30lbs. by lifting weights and focusing on strength. With all the hard work she put in on the basketball court and in the weight room, Kayla ended up getting a scholarship to play DII college Basketball (where her team was ranked 17th in the nation her sophomore year) and has been passionate about fitness ever since she picked up a barbell in the eighth grade. Kayla was fortunate enough to be trained and coached by some of the top trainers in California and Idaho, which helped mold her into the trainer she is today. Bottom line is, you can do ANYTHING you set your mind to! Her goal as a personal trainer now is to help others fulfill their personal fitness goals and live a happier & healthier lifestyle. She realizes how much of an impact a trainer can make on someone's life, just like her trainers growing up made an impact on her life. YES! I WANT TO WORK WITH KAYLA! Maggie Sniffen is a Professor of Dance at the Modesto Junior College (MJC), teaching Jazz, Modern, and Hip Hop. She is a certified Boxing trainer (Levels 1 & 2) through the Box N’ Burn Academy, and a certified Insanity Live Instructor through Danielle Natoni (Beachbody Master Trainer and Insanity Live Format Expert). She has a M.F.A. in Experimental Choreography from UC Riverside and a B.F.A. in Dance from San Diego State University and is currently working on her Personal Training Certification through NASM. Maggie has been a dancer her whole life, but like many women, struggled with body image, as she never seemed to “look” like other dancers. With fluctuating weight and a difficult relationship with food, it wasn’t until she was in graduate school while pursuing a professional and academic career in dance that something finally clicked. If she kept telling her students that dancers are artists AND athletes, she needed to be proof of that. (She was also tired of feeling like crap.) So, after submitting her final paper of her first quarter, Maggie began her journey into the fitness world. What started out with simple at home workouts with Beachbody developed into non-negotiable discipline and a hunger for pushing her boundaries. Her interests are wide and varied, but her understanding of people and the body gives her a unique perspective when working with clients. She specializes in personal best, which looks different on everyone. She knows when to push and when to be patient. Her specialties are in Boxing, Dance, Flexibility, Body Weight, and HIIT training. Together she’ll find the best combination for you so that you can achieve your goals, reclaim your power, and have some fun. You are capable of hard things, but we all need help, and her priority is to help you along the way. Yes! I want to work with Maggie!